Would a “Makeover” Improve Your Customer Service? Home/Blog, Customer Service/Would a “Makeover” Improve Your Customer Service? 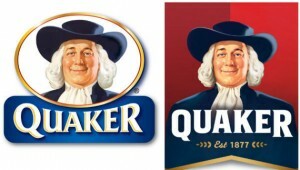 I heard that Larry, the Quaker Oats guy, just got a makeover. 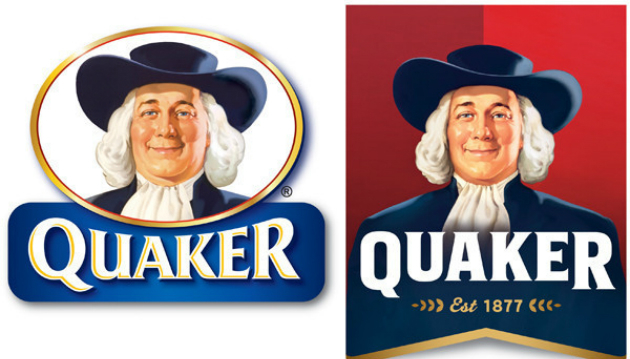 The Quaker Oats PepsiCo brand is 134 years old. and Larry is looking a little tired. Since his makeover his double chin is gone and his hair is a little shorter. If you look closely, he looks like he lost about 5 pounds. Just the loss of his chin makes him appear younger. With some minor changes it changes the feeling of the brand. The article said they left the crow’s feet around his eyes because removing them would make him too too young! Can you really look too young? She also lost 100 pounds. It’s probably time for another new hairdo. These are subtle changes but nevertheless make a difference. They make a difference to the brand and the customers. Of course it started me thinking: Why did Larry need to lose five pounds? One reason is that Quaker Oats represents itself as a healthy choice cereal, one which promotes energy and the ability to lower cholesterol, and Larry doesn’t look that good. It goes together, the cereal is good and Larry looks good. How about your brand? Who is your brand connecting to and who is your customer? How are you representing your brand? Are you and the brand looking tired and old? What are you doing to update you and your brand? Let’s face it; the baby boomers are working hard at staying young and living a healthy lifestyle. One of the payoffs should be looking better but it’s obvious what you eat and drink can’t change everything. So what does this mean to your business? What about your showroom? When did it have its last makeover? How can you be in any business with a dirty showroom , old floors and chipped paint on the walls? It’s important that you look well rested, up-to-date and have a great attitude. Looking good will make you feel better and probably improve your attitude. As people age they often begin to slouch which makes them appear even older. My doctor asked me the other day why I didn’t stand up straight and I realized it was from carrying a heavy computer and projector through the airport for the last 20 years. Many of my trainer friends have the “computer bag” slouch. Now that I’m focusing on standing tall, I feel much better about myself and I notice I look better. This one was an easy fix. By the way, if you’re wearing running shoes, they may be interferring with your posture. In case you haven’t noticed, despite standing straighter, I haven’t gotten any taller. As our customers get younger, how will we connect if we look and feel old and tired? I noticed at Coverings that many of the social media wizards were over 60 and although they were older, their energy and stature made them appear young and vibrant. My dad used to always say hanging around with old people will only make you older and if you want to stay young, you need younger friends. Attitude has a lot to do with how we look and feel about ourselves. Teeth don’t need to look white washed but yellow teeth are a sure sign of aging; some over-the-counter teeth whitening will make them look better and you more youthful. A manicure isn’t just for women and exercise is good for everyone. The site, “Cheap and Easy Ways to Look Richer, Younger and Thinner” has some great ideas. Good customer service means connecting with your customers. For those of you looking for younger customers, your appearance and attitude can make or break your sale. Are you up to date in your conversation or do you continually refer to “I remember when” or “the good old days?” The previous link is to an interesting article on customer service out of UK. I had a young friend of mine do some mystery shopping for me. He said he liked the salesperson who was about his age until he saw the guy’s tattoo. My friend has tattoos but he found the salesman’s tattoo distracting. He said he feels the same way about piercings and doesn’t wear his earrings to work. Remember when guys didn’t wear earrings? Take Tony’s advice–get to know some young people and ask what they consider customer service. Maybe we don’t need to whiten our teeth.